Having to draw every single Pokemon for an all-inclusive poster looks like a long and tedious process. Apparently this took around 350 hours and through timelapse video you can see that every little stroke of the pen had to be perfect to make these characters really stand out so that they could each be noticed within the mass of characters that exist. Pokemon is such a widespread phenomenon that it’s hard to know every single character and their evolutionary cycles, let alone how many there really are and how many are still being discovered or waiting to be added to the roster. Some of them really seem to take off designs from other characters in pop culture that were there long before, but this isn’t too surprising. 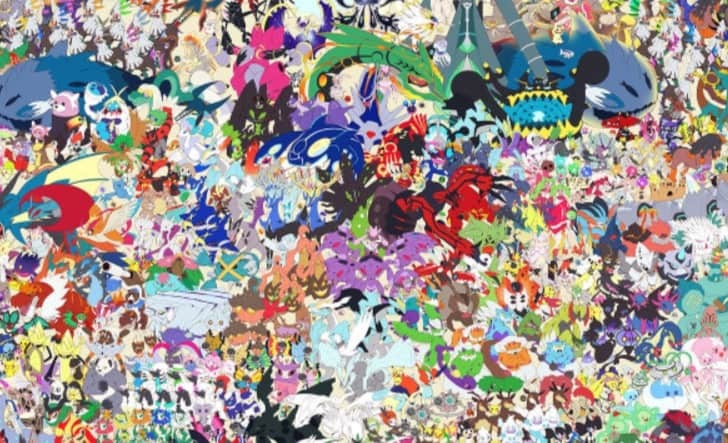 It’s also not surprising that other shows would spring up in response to the Pokemon craze that spread throughout the world when it first came out. Some were in direct contest with Pokemon while others were either loosely based off of the same idea or were their own entities that came on the heels of the popular show. In any case it’s easy to say that this craze started a seriously innovative movement in pop culture throughout the world that some people would love to see die down and others can’t get enough of.